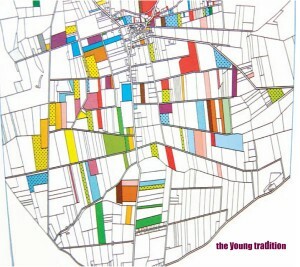 Magnificent debut album from Matinée hitmakers The Young Tradition! Comprised of Swedish multi-instrumentalist Erik Hanspers and Japanese-American vocalist Brent Kenji (formerly of The Fairways and Skypark), the duo created its classic debut single 'California Morning' entirely through the international postal service in 2003. The single generated lofty praise from all corners, including favorable comparisons to 60s legends The Byrds, The Beach Boys and Simon & Garfunkel; 80s favorites The Springfields, Sea Urchins and Teenage Fanclub; and contemporaries Belle & Sebastian, The Ladybug Transistor and Camera Obscura. Transcending decades with some seriously impressive songwriting and beautiful orchestration, the duo gained attention before physically meeting in San Francisco last year to record the songs for this debut album. 'Northern Drive' includes ten new Young Tradition classics featuring jangling guitars, keyboards, and strings plus prominent bursts of trumpet, flute, and saxophone along with supremely rich melodies and Brent's enchanting vocals. Fans of the Fairways will undoubtedly rejoice but 60s pop aficionados should take note as well because this album is a sophisticated pop mix that will delight indie kids and hip parents alike.